Are Raisins Bad for Cats? Raisins and grapes can be poisonous to cats. Raisins are healthy, right, so they'll make great cat snacks? Wrong. Even a handful of raisins can cause kidney failure in pets. It's more common for dogs to get sick after eating raisins than cats, but it's best to avoid raisins and grapes. Call a vet if you suspect poisoning. Your cat ate an apple? That's a little strange, but he's probably fine. Your cat ate some raisins? You need to call a vet. Grapes and their dehydrated cousins, raisins, can cause acute kidney damage or outright kidney failure. It's unclear why or how this happens -- and, in fact, your cat may be OK -- but you should err on the side of caution. A handful of raisins or grapes is probably too much. No matter how much your cat cries when you eat your breakfast fruit or holiday desert, don't let him have any. Given the wealth of healthy alternatives for your cat, it's best to keep grapes and raisins off the table, literally and figuratively. Until the 21st century, grapes and raisins didn't regularly appear on lists of human foods that are harmful to pets. A small but statistically relevant number of cases of sudden liver failure, mostly involving dogs, have secured grapes and raisins a place on educational materials, though. Little research has been done on the topic, but it appears the unknown toxic substance is in the fleshy part of the grape. 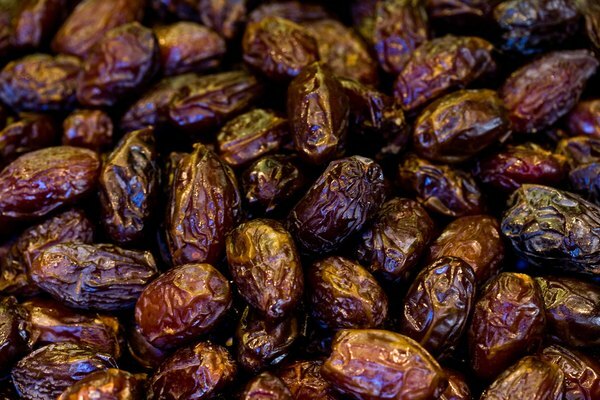 Absent water weight, raisins likely contain roughly 4.5 times as much of it, gram for gram. It's unknown whether certain varieties of grapes and raisins contain more of the toxic substance or if certain breeds of dogs and cats are more sensitive to it. If you don't catch your cat eating raisins or grapes, it could be hours or even days before he gets sick. As with any poisoning, symptoms are somewhat vague. Your cat may throw up, have diarrhea, lose his appetite, yowl in pain or just appear a little weak and "out of it." If kidney damage is in the mix, he may also be drinking a lot of water and going to the bathroom a lot. Once you're clued in that something's wrong, look around for whatever made your cat sick -- look for chewed packaging or plant matter -- and call a vet or an emergency pet poison hotline. If you catch your cat eating grapes or raisins, you may have to get your hands dirty. Call a vet or a poison control hotline. The larger the amount your cat ate and the shorter the amount of time that's passed, the more likely it is you'll be asked to make your cat throw up. Give your cat hydrogen peroxide, about 1 teaspoon per 10 pounds of body weight. If that doesn't cause your cat to barf in 15 or 20 minutes, try it again. Ipecac syrup can be toxic and is best avoided. Regardless of what you try, keep an eye on your sick cat and get ready to drive to a 24-hour veterinary ER if he takes a turn for the worst. Kidney failure can quickly escalate and cause many other issues. Is Conjunctivitis in Cats Contagious? What Drugs for Hyperthyroidism That Go in the Ears Are Used in Cats? Do Cats Need Protecting From Radiators? Are Cysts Common in Older Cats?